Meet the all-new feature on Editor.Pho.to — lighting textures that imitate glittering bokeh effects or beautiful light trails. Bokeh effects come in different shapes and colors: hearts, stars, light bubbles and snowflakes. Light trails can cover the whole image, or just a part of it, with shining lighting textures. 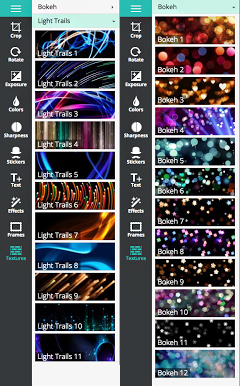 Texture effects come with a full-featured editor that gives you a number of options. You can change a texture’s scale and positioning, erase some elements or paint them back in the ‘Paint mode’, choose the general toning of an overlay and experiment with different blending modes. In more depth, the ‘Erase’ option is very handy. E.g., if you want to adorn a portrait with the light effects, use the eraser to remove bokeh sparkles or light trails from models’ faces (like we did in the examples below). Besides this, the ‘Positioning’ toolset is also useful: it lets you change the direction of light trails and the placement of bokeh sparks. 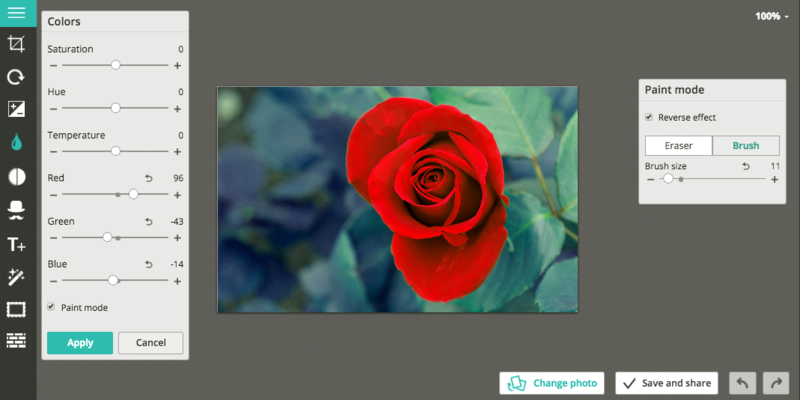 Use the new ‘Textures’ effects to design shining greeting cards or to give a new look to your favorite images. 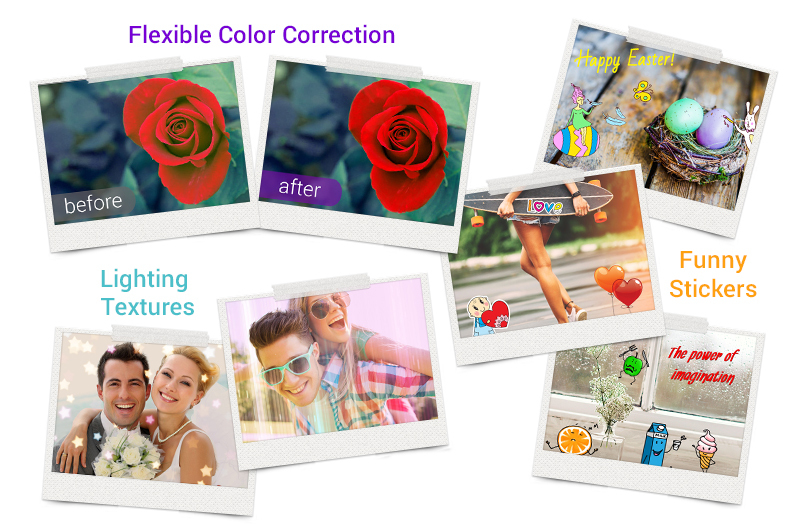 With this update, the flexibility of color enhancement is raised to a higher standard. New tools let you fix each color separately and the ‘Paint mode’ can be used to edit certain areas of the image. 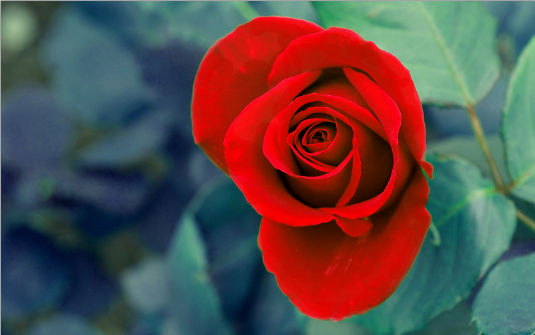 In editing this photo, we decreased the greenish tints of the rose petals. For that, we opened the ‘Colors’ toolset, raised the red color and decreased the green and blue colors. Then we activated the ‘Paint mode’ by checking it, chose ‘Reverse effect’ and selected the brush. With it, we could quickly edit certain areas of the image, like rose petals, leaving the surrounding green leaves untouched. As you can see, the foliage in the background of the resulting image is still unnaturally blue. We’ve left it unchanged, so if you want to practice you can download this picture and adjust it on your own. 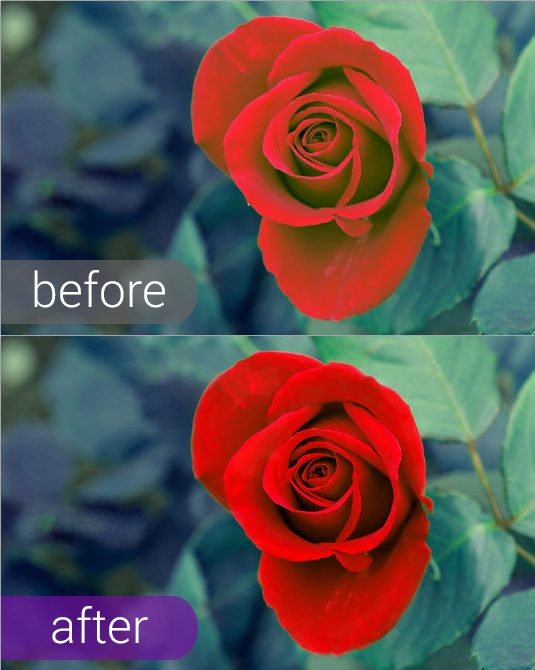 Just correct the leaves’ color, and then choose the ‘Eraser’ tool in the ‘Paint mode’ to remove unnecessary tints from the rose petals. 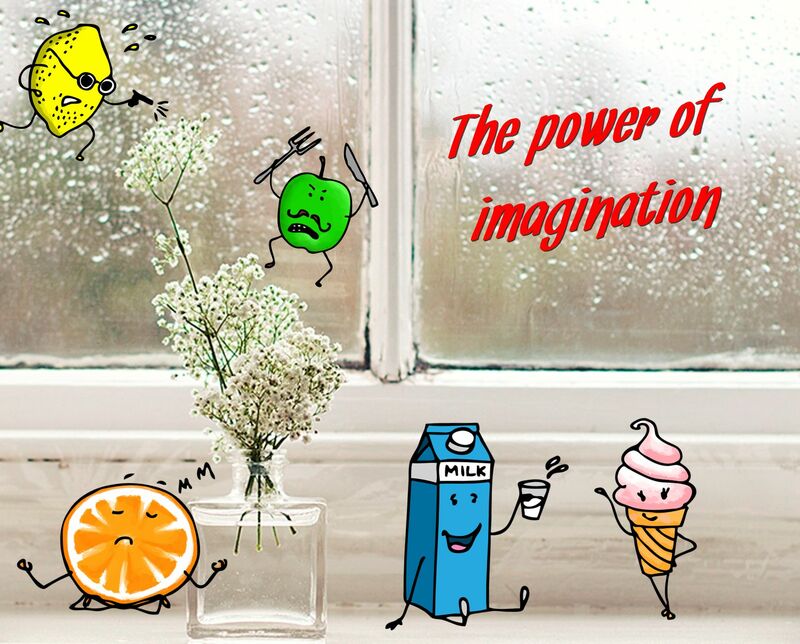 Meet new funny stickers for non-stop creativity! 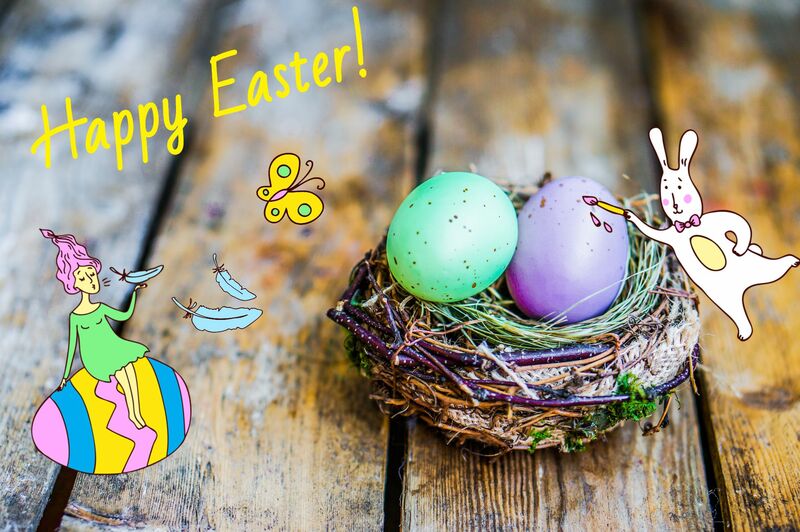 Use them to turn ordinary images into cute greeting cards or hilarious pictures. Another interesting feature for your consideration: you can change the color of every sticker in the new ‘Love Stamps’ collection. To choose the desired color, use the ‘Color picker’ or ‘Eyedropper’ tools. Don’t miss even more interesting posts and tutorials — subscribe to our news and tutorials on Twitter, Facebook, Google+ or Instagram. When I’m in Editor I can’t get it to save my photo. I’m using a Windows 7 computer. Our developers have already solved this problem. But if you are still facing any issues, please, e-mail us to support@pho.to. Thanks for using our service!